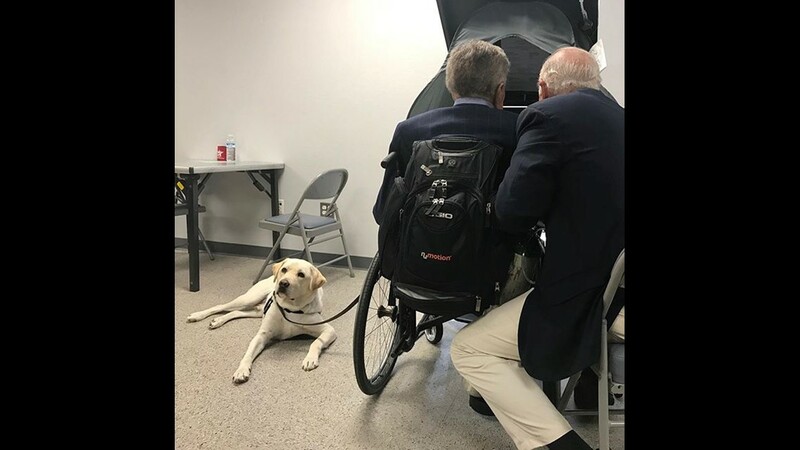 HOUSTON — Sully Bush, George H.W. 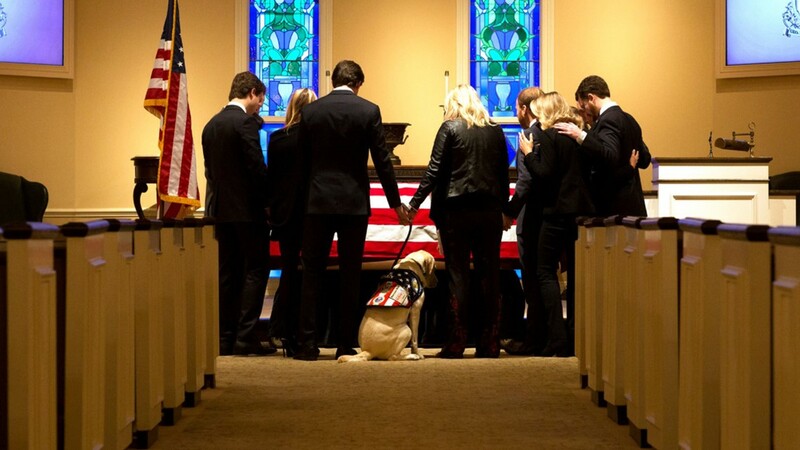 Bush’s service dog, was at his master's side Monday for his final journey to our nation's capital. 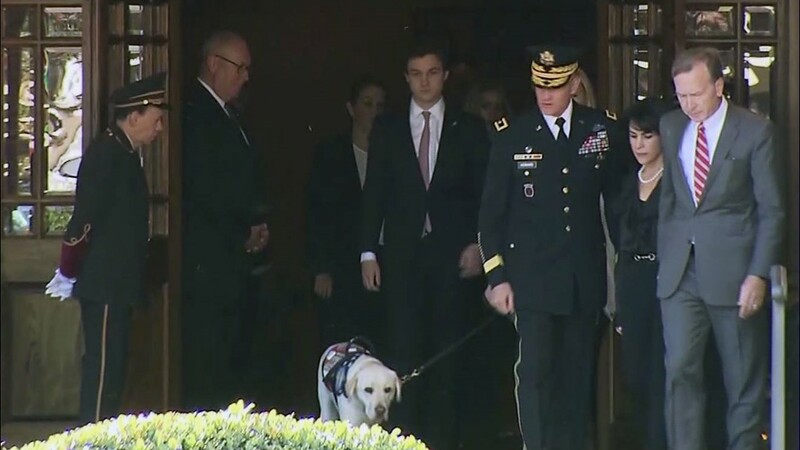 Sully looked somber and sad as he and Secret Service members escorted Bush 41's flag-draped casket out of the funeral home in Houston Monday morning. 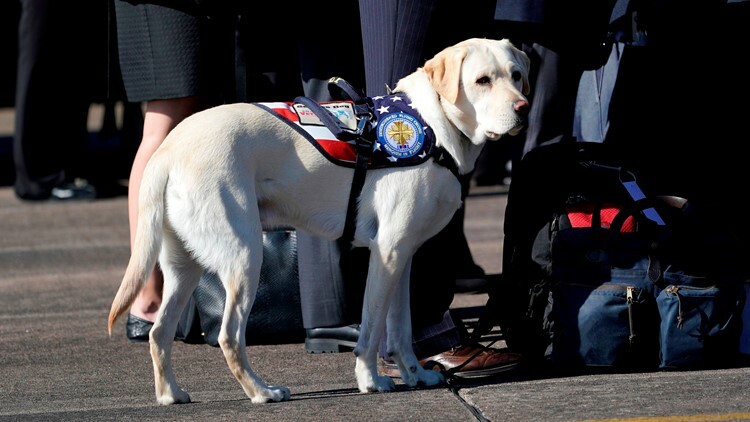 When the Bush family boarded Special Air Mission 41 for the flight to Washington D.C., Sully was there. 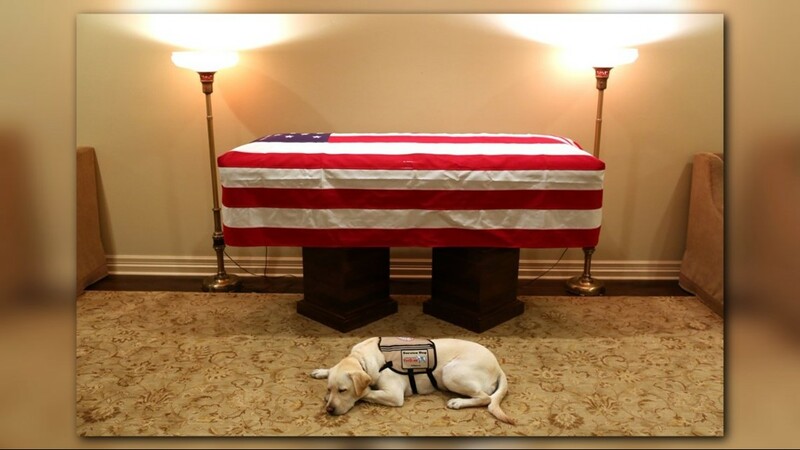 And Sunday night, the loyal lab spent a moment with the president’s casket. "Sully has the watch," Jeb Bush tweeted. 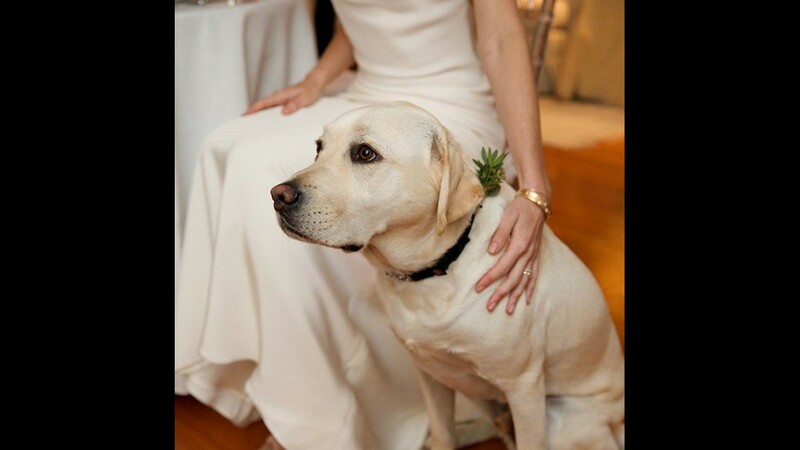 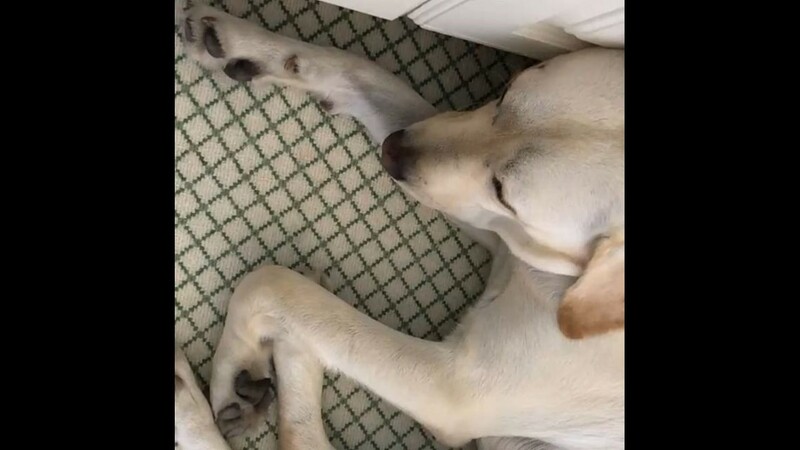 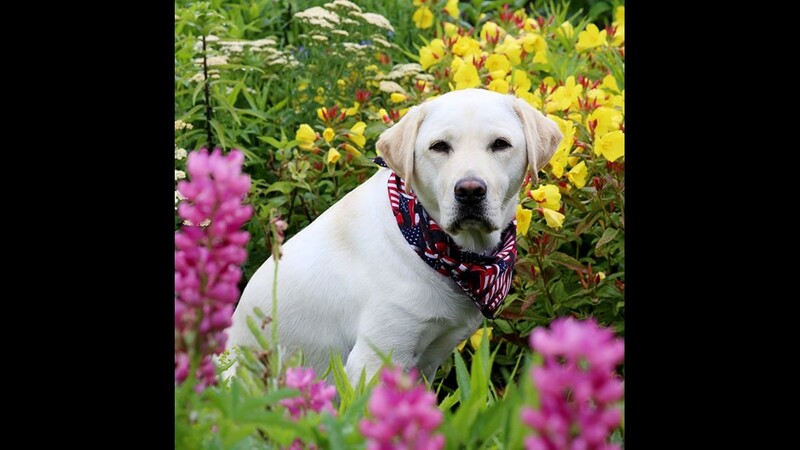 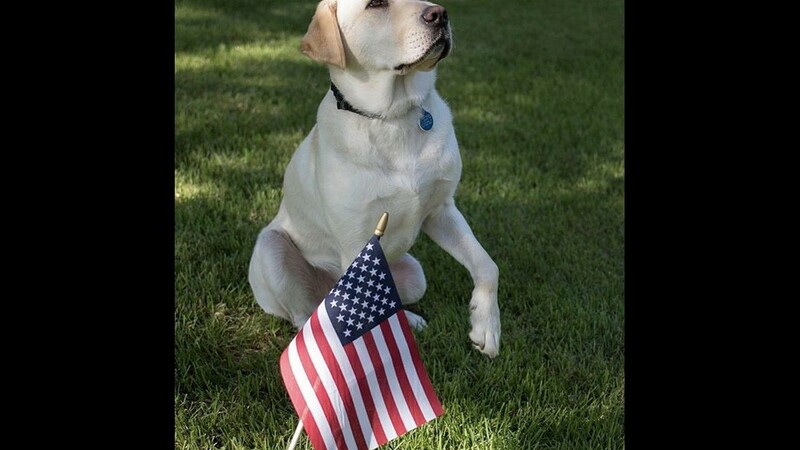 The 2-year-old yellow lab brought countless hours of comfort to President Bush after former First Lady Barbara Bush passed away in the spring. 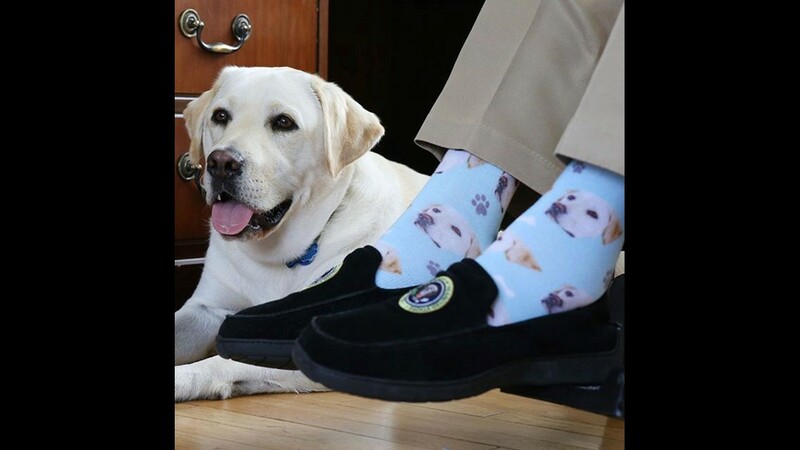 RELATED: What's next for Sully Bush? 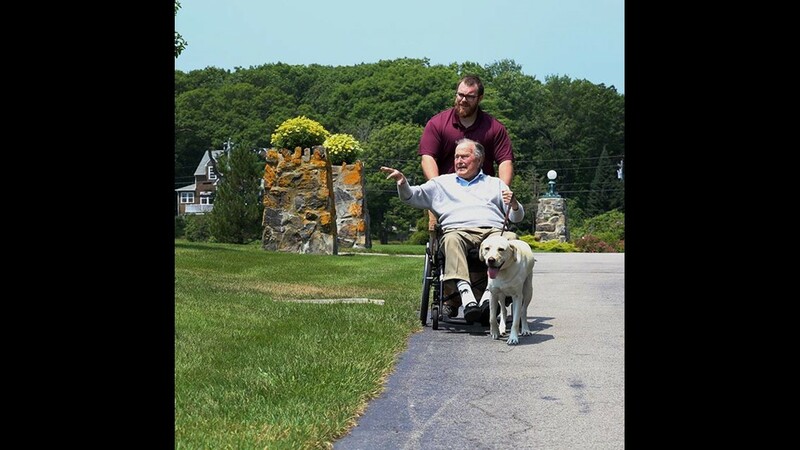 He was with him during his final visit to Kennebunkport and accompanied him back home to Houston. 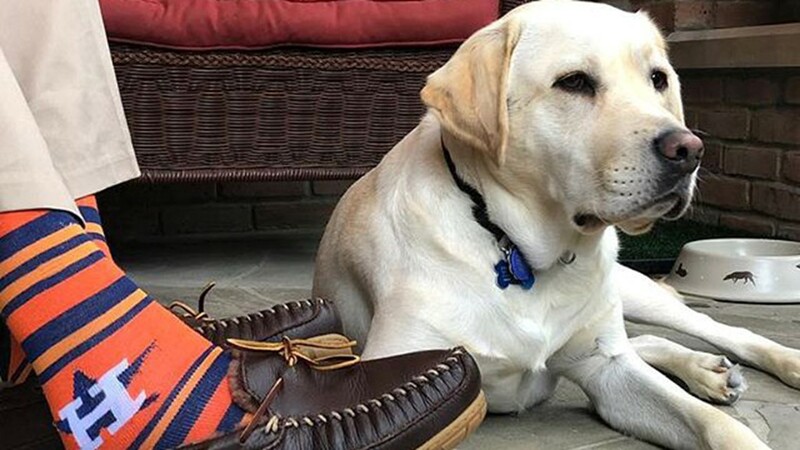 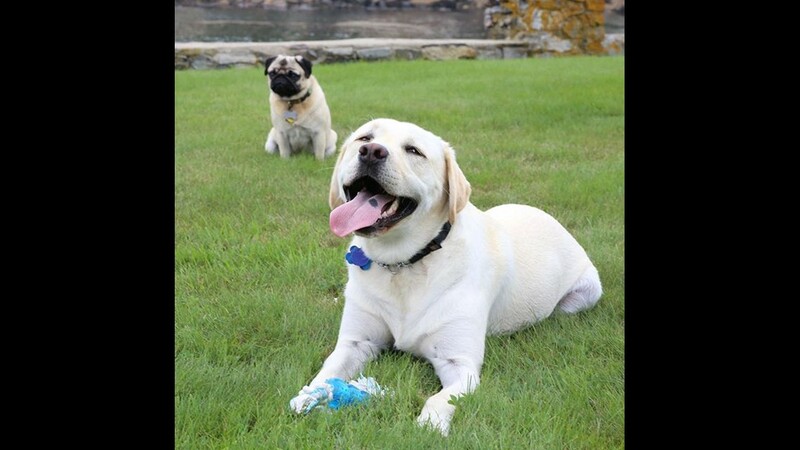 Sully even had his own Instagram page with more than 127,000 followers. 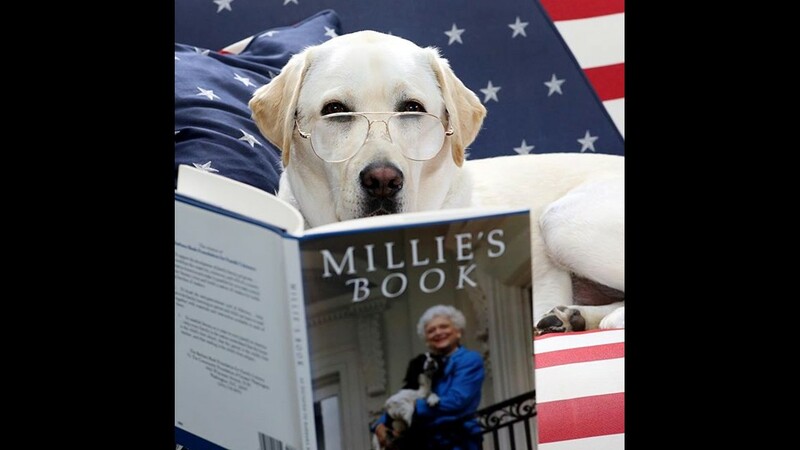 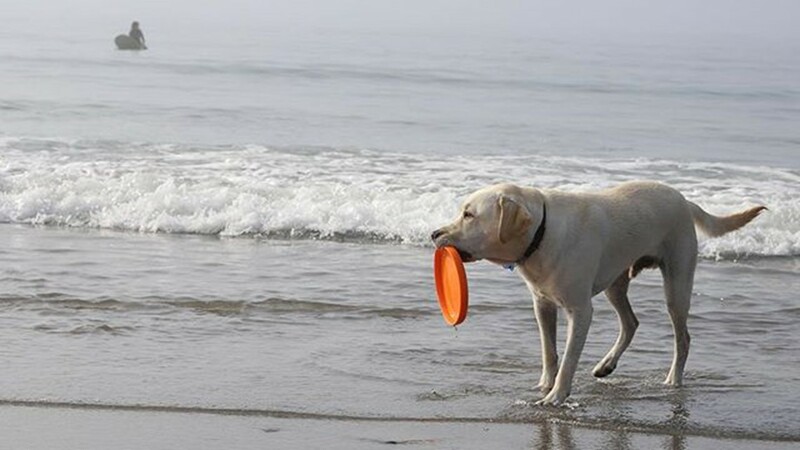 It's full of photos of the popular dog, frolicking at the beach, playing with other dogs and lying beside President Bush's wheelchair. 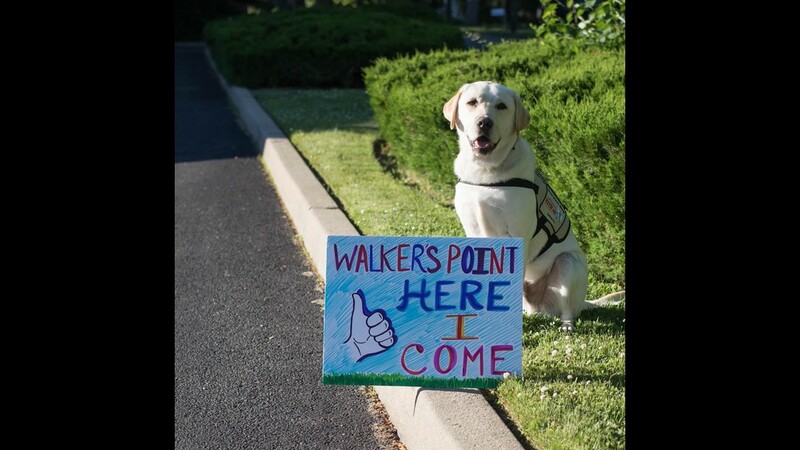 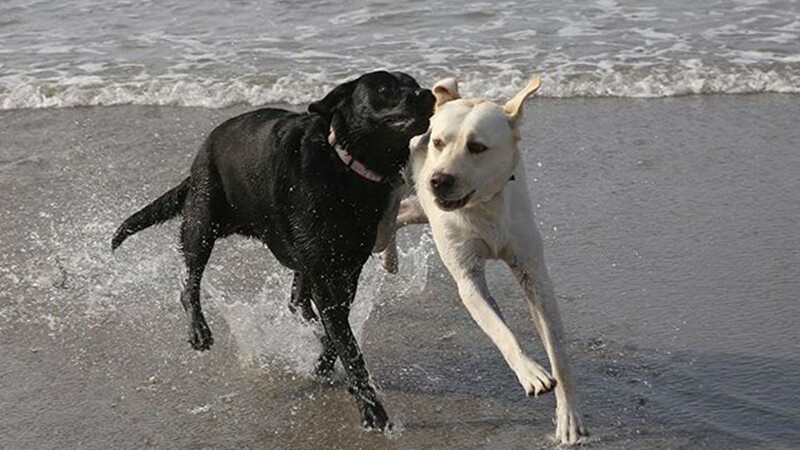 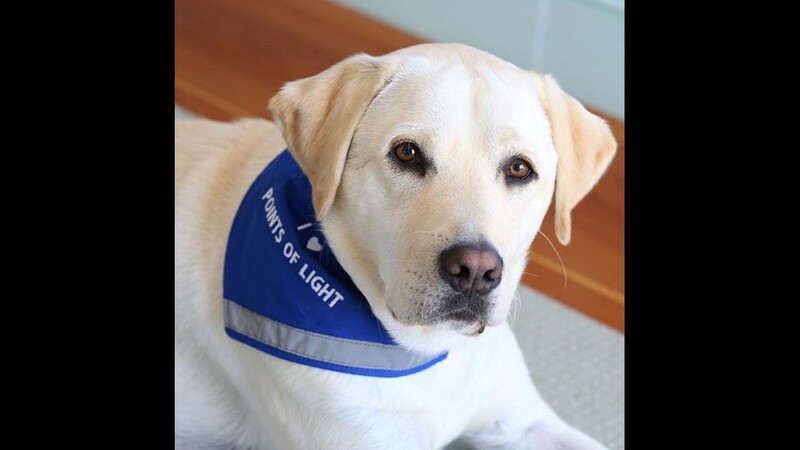 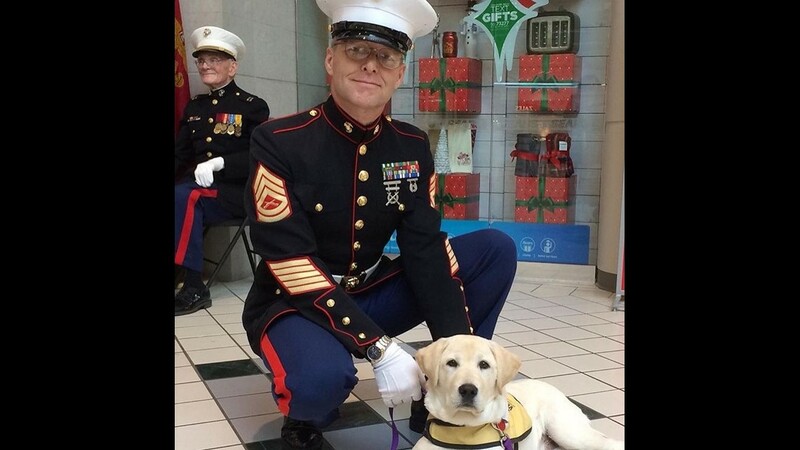 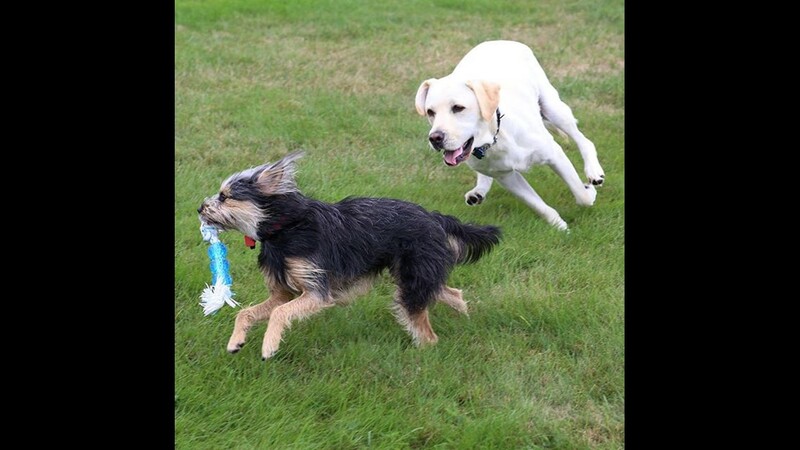 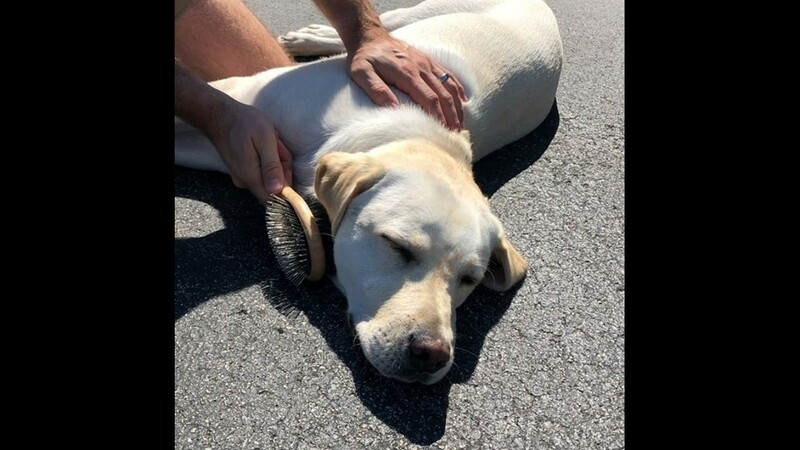 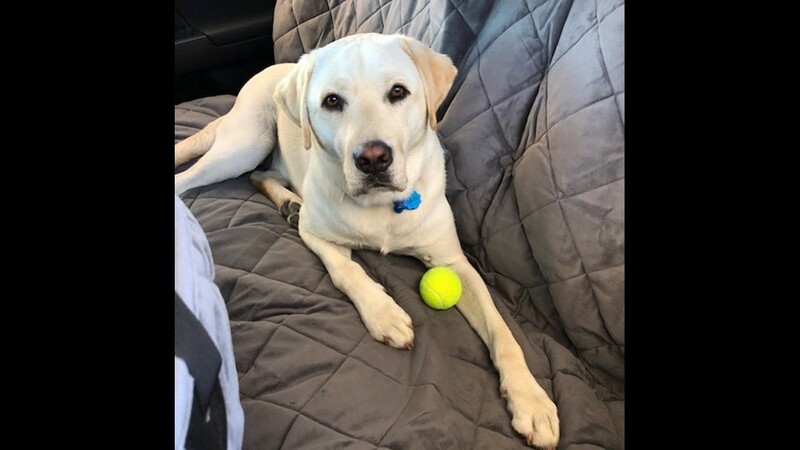 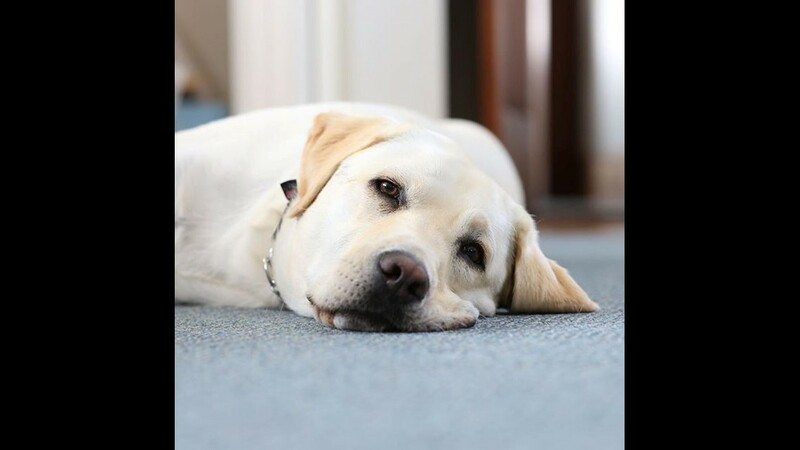 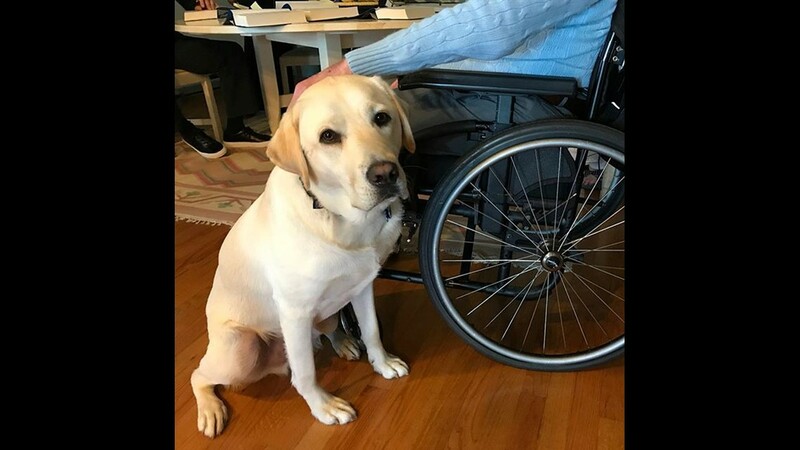 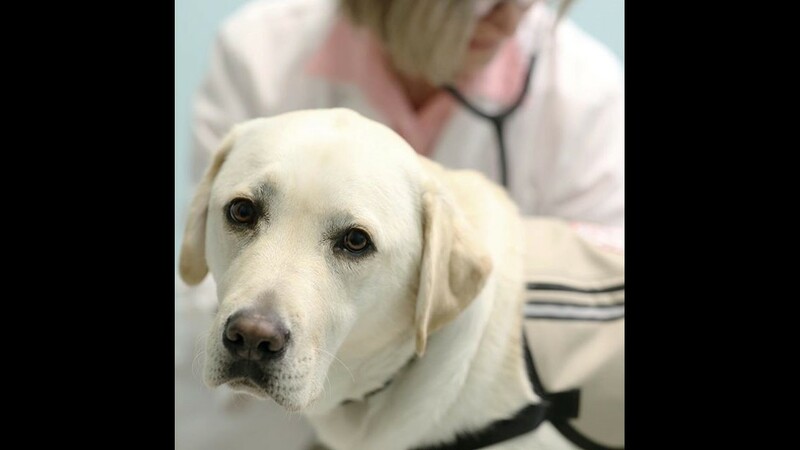 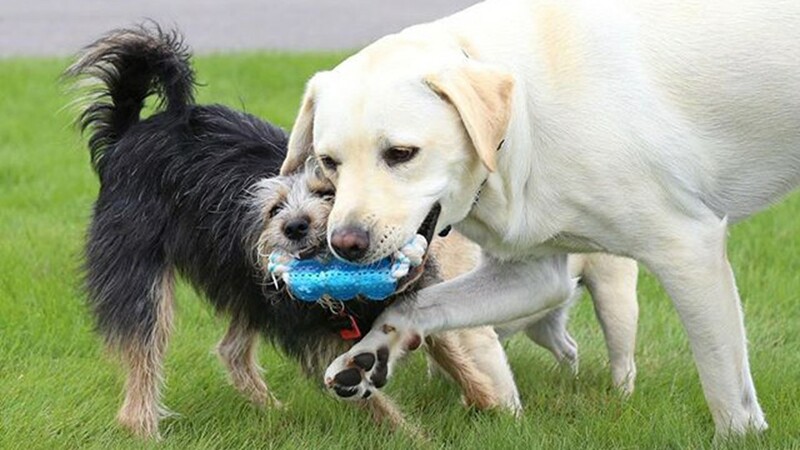 “The emotional connection between the 2 must have been incredible,” says Paul Buescher, Executive Director of the Houston-based non-profit, “A Cause to Give Us Paws,” which trains service dogs. 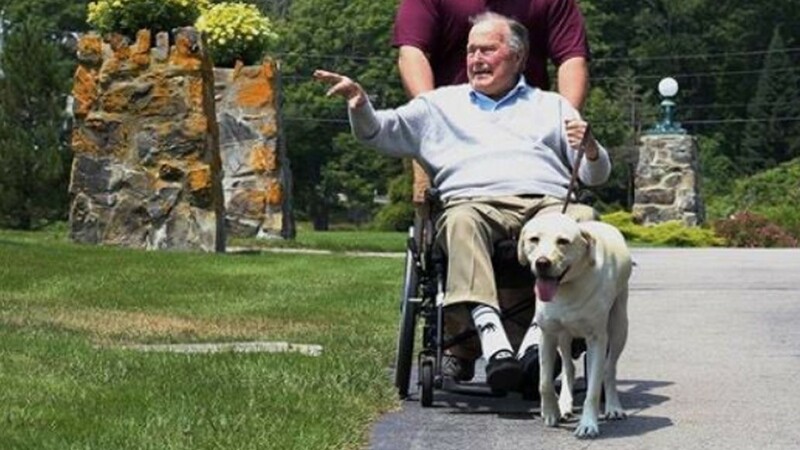 Bush 41 had a form of Parkinson’s Disease, which caused difficulty with balance, among other symptoms. 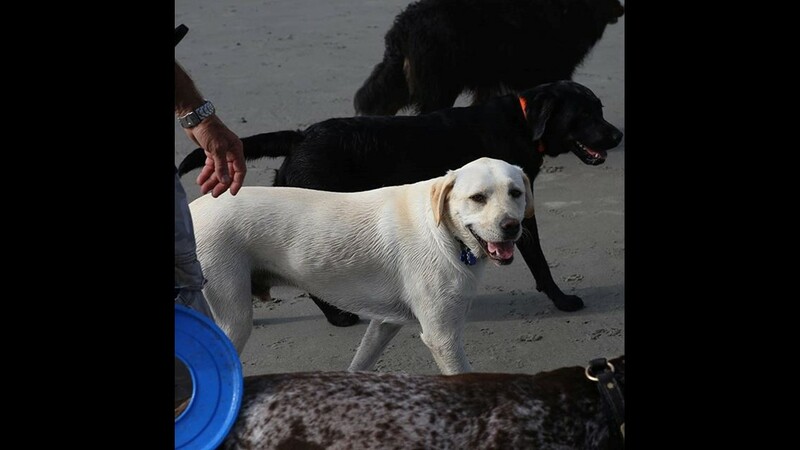 Sully could open doors, pick things up and summon help, if needed. 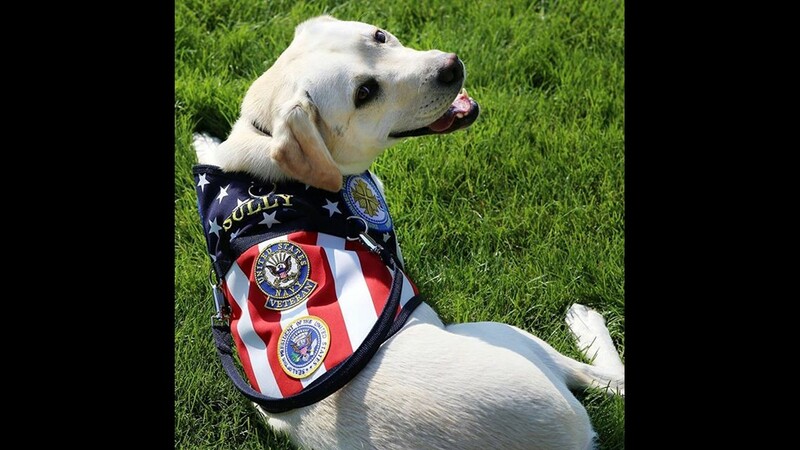 Sully even helped the president vote last month, in the midterm elections. 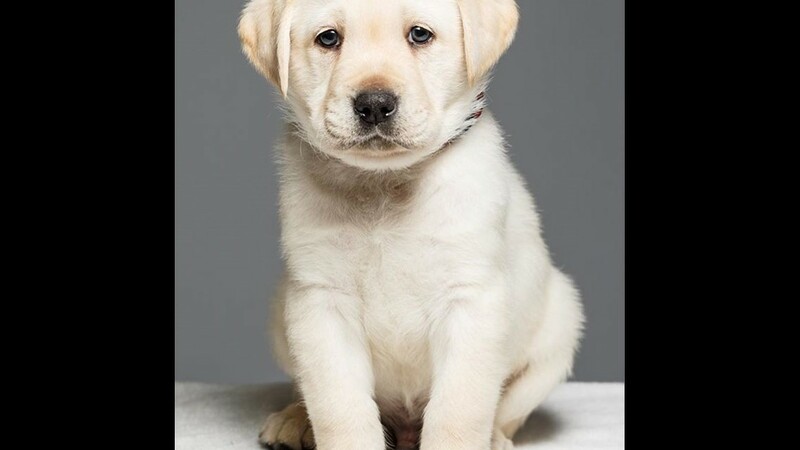 “Sully looks to be an amazing dog,” adds Buescher. 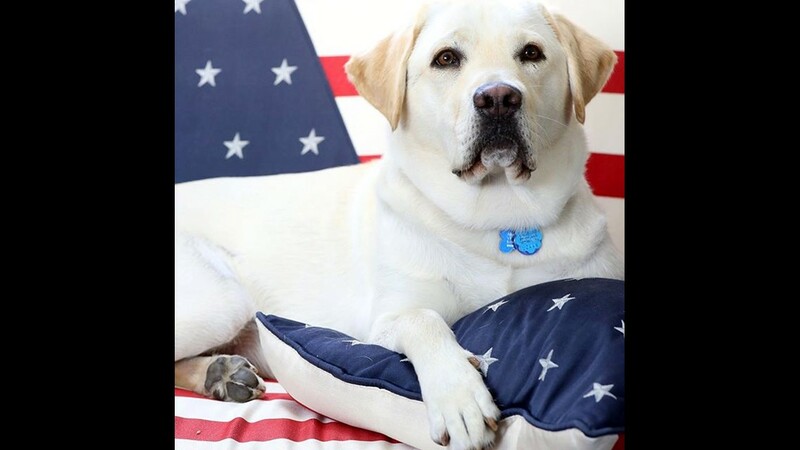 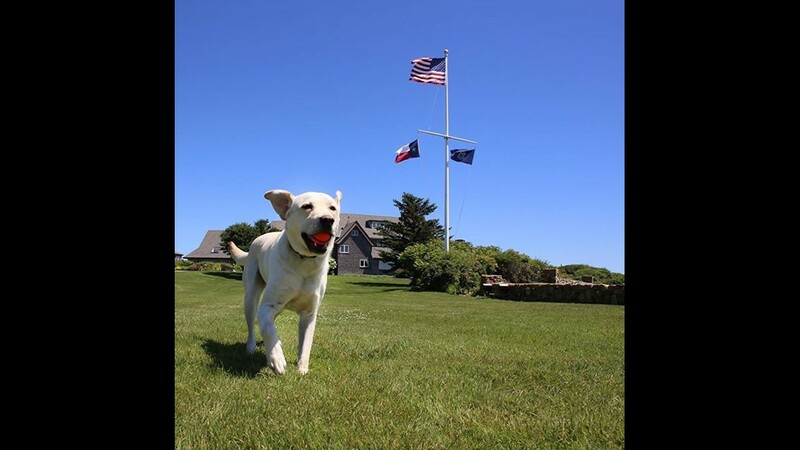 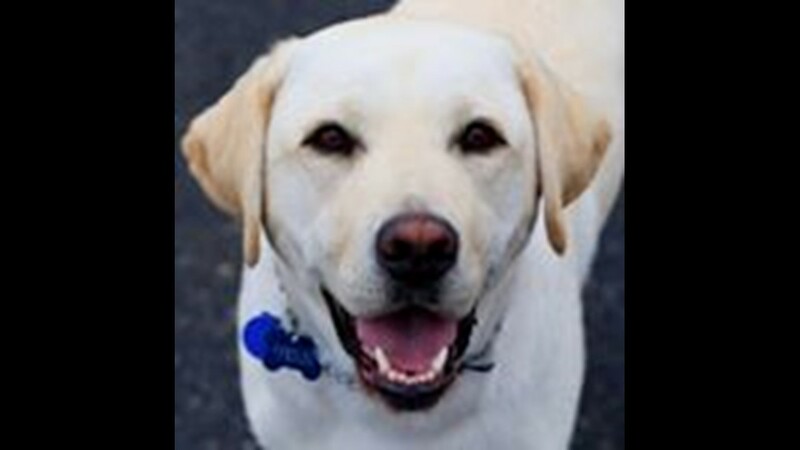 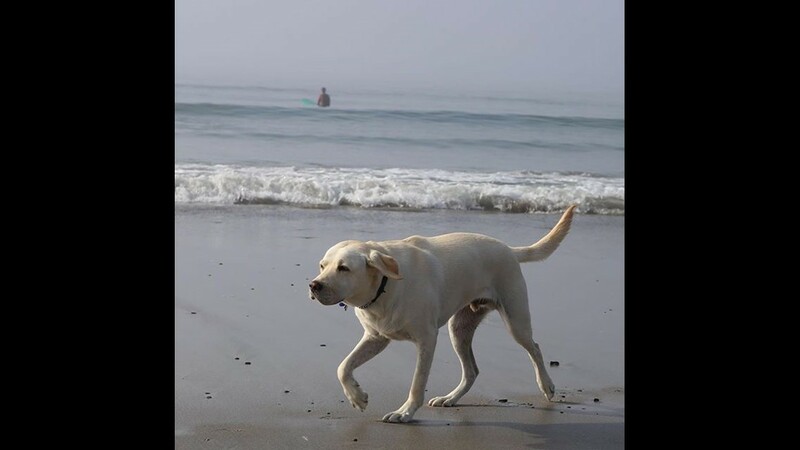 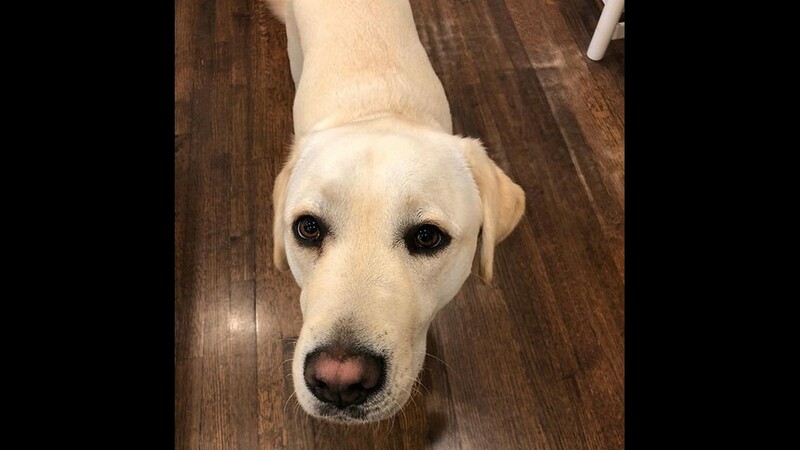 Sully was named after Captain Chesley “Sully” Sullenberger, the pilot who safely landed a damaged passenger jet on New York City’s Hudson River, in 2009. 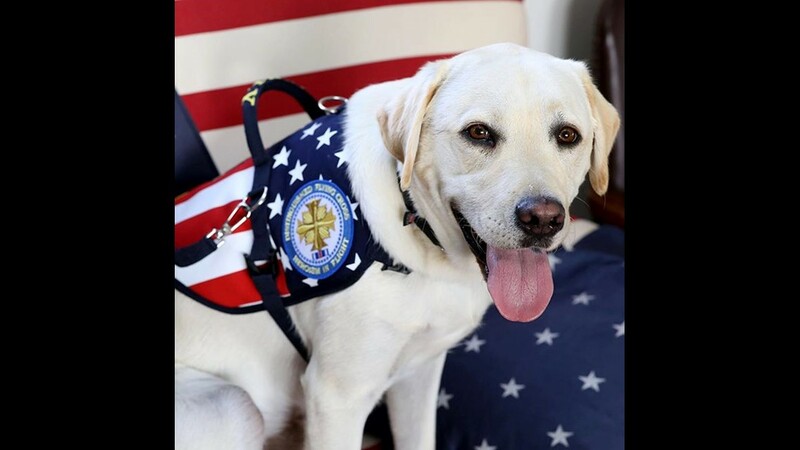 At the president's request, Sully's next mission will be working at Walter Reed National Military Medical Center.